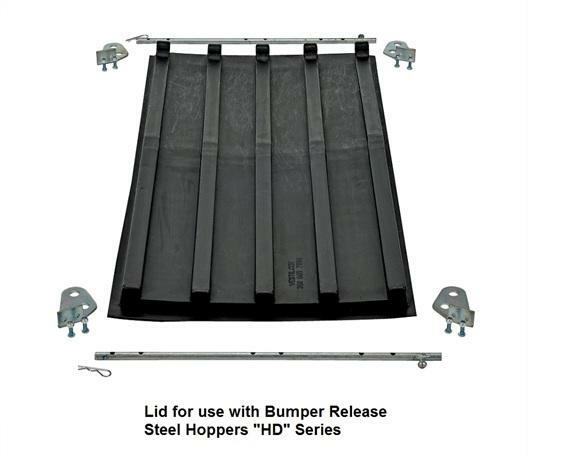 Lids For Steel Hoppers | Carolina Packaging & Supply, Inc.
For use with Steel Hoppers and Bumper Release Steel Hoppers. Use to keep the contents of hoppers out of sight for a neater appearance. Constructed from heavy-duty virgin black polyethylene material, these lids are lightweight and easy to open. 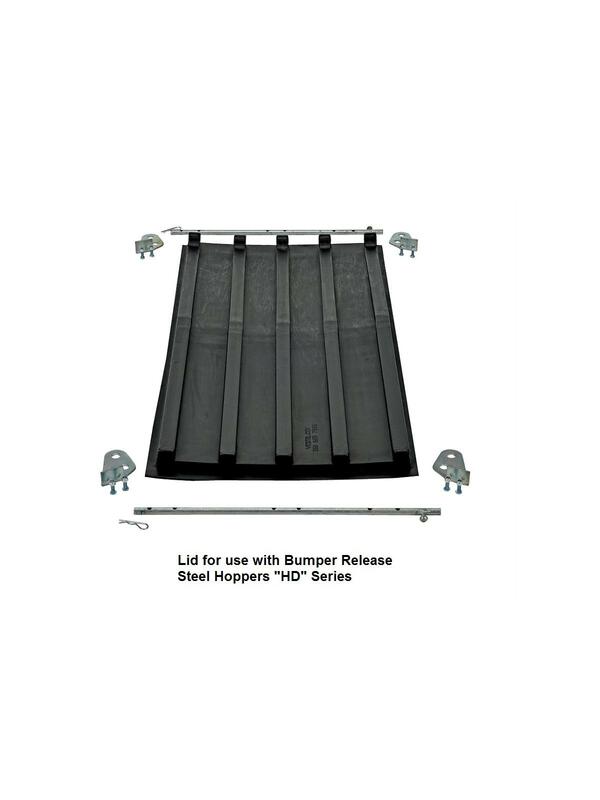 Top of lid includes a crown for water drainage and a ribbed design for strength and aesthetics. Ideal for schools, hospitals, and warehouses. Factory or field installed. FOB Shipping Point. See Related Items tab for Steel Hoppers and Bumper Release Steel Hoppers. For Use w/Hopper Cu. Yd. Cap.